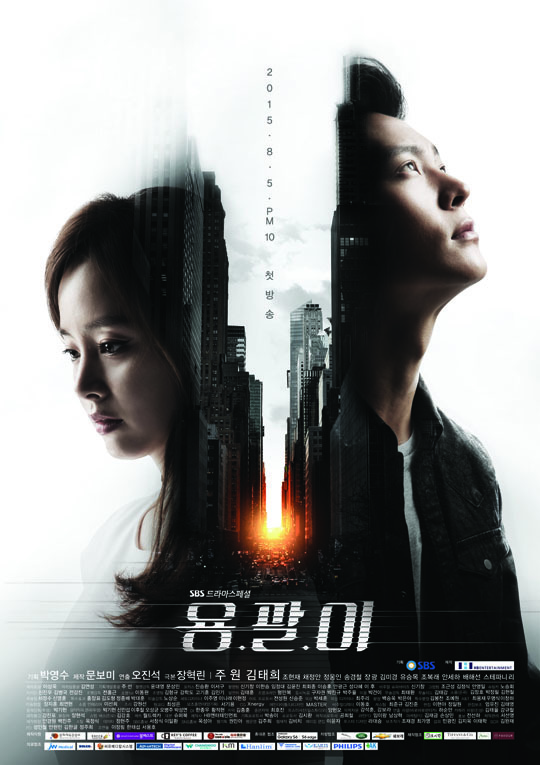 Yong Pal: Healer on the Run! If Good Doctor had a revamp coupled with flavors of Innocent Man, Doctor Stranger, and Healer, you would have the drama baby of Yong-Pal. Joo Won of Good Doctor reprises his role as a doctor, but this time, one of great ability, fearlessness, and genius, rather like Doctor Stranger. Joon Won is Tae Hyun, a gifted resident who works at a famous hospital, but makes money on the side to pay off his enormous debts to a loan shark. Professional by the day, he receives calls at night to go on jobs, mostly to stitch up gangsters, who then pay him loads of money. With this money, he slowly pays off the debts he has from treating his sister’s renal? failure (dialysis treatments). However, his money grubbing doesn’t stop there. He also subtly threatens rich VIP families at the hospital for extra “money gifts” for saving their loved ones. Even with his doctor income, shady surgeries at night, and bribe receiving, he is barely making ends meet and has barely made a dent in his own medical school tuition expenses. At the hospital, he is well known for his skills and even the professors ask him for help, no matter the humiliation from asking a mere resident. However, hidden well in the hospital is a special lady who is kept in a medical coma by her devil of a brother. After her lover had died in a brutal car accident, Yeo Jin played by Kim Tae Hee, tried to commit suicide by throwing herself out the window. She survived, but cannot wake as her brother takes control of the family fortunes. One of the Chief Surgeons is also in on this scheme as he is paid a heavy sum for keeping her under. Meanwhile, Tae Hyun who is known by Yong Pal on the streets, comes across a bad deal. He is forced to save a gangster boss, but has a run in with the police. After a long police car chase, he and the boss end up on the railing of a bridge. Tae Hyun, who must not get caught, decides to inject him and the boss with epi pens in order to up their body function for a mere few minutes and jumps into the river below. Though he is affectionately called the quack doctor on the streets, he is well known for keeping people alive if they can’t go to the hospital. A thousand times yes for this drama! I LOVE Joo Won, even though I may not love all his projects. However, he is one of those special actors who throws himself wholly into whatever character he is playing. He has a totally different role as a doctor in Yong Pal versus the timid one in Good Doctor. Yong Pal has a Healer type personality (pun intended) where he is tenacious, ambitious, money hungry, and fearless. But he has Innocent Man issues where his little sister requires hospital treatments that are sucking the lifeblood out of him. He is pushed to unsavory actions in order to make ends meet. I not only love the medical aspect, but also the dash of action thriller. Yong pal is sassy and a likable character. When the police were chasing him, I definitely had a flashback to Gaksital. Oh Yong Pal, a mask again? Better not let them find you and keep that double identity! As for the other half of this story with Kim Tae Hee, at the moment, I have no judgement of her yet. She is breathtakingly beautiful in motion and stillness. I hope to see how her acting career has helped her improve as I have heard that she did very well in that traditional drama. However, the section of the hospital where she is kept is so gorgeous in technology and aesthetics. Really, wow! However, I am not used to this VIP section of a hospital idea. In the US, no matter how famous or rich you are, EVERYBODY is the same and everybody is treated the SAME! So, let this sleeping beauty wake soon! PS. The posters are just a treat for the eyes. Beautiful graphic design!